NJASK-ing This Week - The WannaBlog! 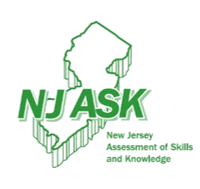 Students are spending most of this week taking the New Jersey Assessment of Skills and Knowledge! When we get back to Social Studies goodness on Friday, we'll start looking at our next unit, on Ancient Greece. Lastly, I'd be remiss to not mention this Friday's Lip-Synch Contest. The student council has done a great job planning the evening, and it should be a fun time. It's $5 a ticket. As one of the judges of the competition, I promise to provide at least $5 worth of jokes and/or awkward comments about music and dancing. Everything else, then, becomes a bonus.